Years after the great housing collapse, foreclosures continue to make real estate news, as industry experts watch the state of the foreclosure process as one indicator of the health of the housing market. In some regional markets foreclosure rates have dropped significantly – but in others, it’s begun to climb – a phenomenon that has a direct impact on the extent of the housing rebound in those areas. One reason for the disparity has to do with how individual states process foreclosures. 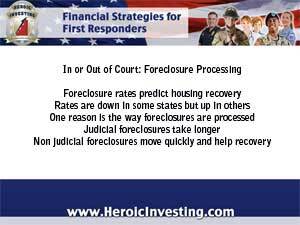 Needless to say the process goes much faster in non-judicial states, where the foreclosure process takes place according to state statutes, outside the court. In these states, when a default happens, the homeowner is notified by letter that the default must be cleared. If the homeowner is unable to take care of the payments, a notice of sale will be mailed to them and posted with the county recorder’s office and in public notices. After the required waiting period has passed, the property goes up for sale at public auction. 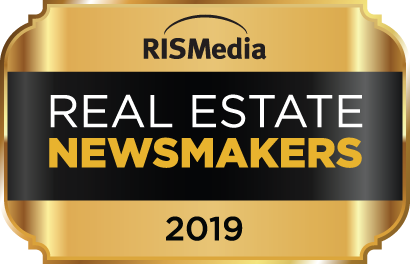 Real estate experts continue to try to predict coming trends in the market, with special attention directed toward the ups and downs of foreclosure proceedings. Since so many cases depend on the intervention of the courts in judicial states, creating artificially elevated numbers of foreclosures in those areas. 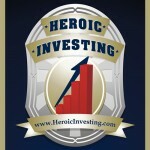 For heroic investors, that means watching the trends, and following Jason Hartman’s advice to diversifying assets by buying investment properties in several locations -especially those with non-judicial processing of foreclosures.